trying to complete the ESB characters on ROTJ Kenner or Palitoy offerless if poss. Trying to keep sub £100, but I appreciate many will be over that! Also looking for any cardback/carded figures with a Chadds of Hereford price sticker on. Last edited by roundster on Wed Jun 06, 2018 2:10 pm, edited 11 times in total. Have you got a picture of what the price sticker looks like ? Pretty sure someone posted a resealed Luke Bespin which had the price ticket on. Will try and find it! From memory it had a handwriting style Chadds on it. 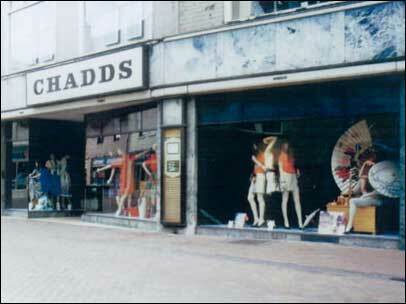 Thats the place Jason, closed down years ago, although the toy dept went downhill years before that! Have a number of open bubble (ie bubble still attached) versions across Kenner SW, Kenner ESB, Palitoy SW & Palitoy ESB, but will need to check my other cardbacks (no bubble attached) for any more examples. Jason will remember the open bubble Palitoy 12bk Han cards I had with me @ a SWF London meet up earlier this year (May 16) and one of those was a Chadds card. Thats awesome, Can you pop a pick up if you find any! The Palitoy 30bk ESB cards (the Yoda on Jason's guide was mine too, I sold it to Ryan (Blue Dog) before I believe it was returned to the UK as a fantastic reseal). Last edited by scottie_boy on Wed Aug 31, 2016 2:26 pm, edited 1 time in total.